We already saw on the blog that Finns eat tar thanks to the Bizarre Foods’s video from Andrew Zimmern, Finnish edition. We saw him give his opinion about how tar tastes in food when he went to a marketplace: He actually liked the smokey flavor. 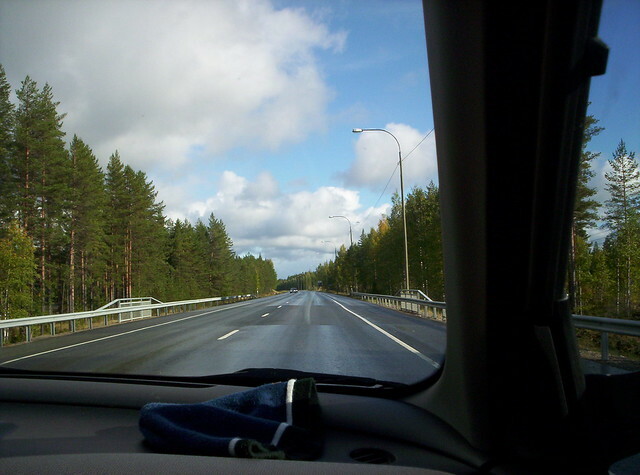 A Finnish road. Main ingredient: tar. According to wikipedia, there are several kinds of tar. Some of them aren’t very good for people’s health. In the North of Europe, Finland included, tar is produced by burning wood in a pile. It was already being used centuries ago in these nordic and scandinavian countries to coat ships… and as medicine. 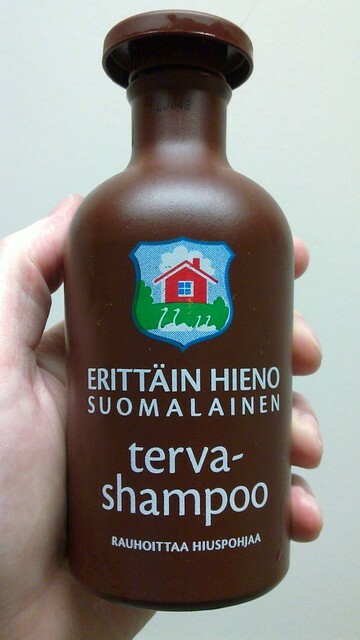 Finns have a saying: “If sauna, vodka and tar don’t help, the illness is fatal.” The reason behind this expression is that tar is also a microbicide agent. This ingredient is also used as a scent for places such as the sauna. The Finns like the familiarity of the smell. Tar is used as an additive and as a flavoring ingredient. It gives a smoky flavor to the dish you add it to, such as ice creams, beers, liquorice and sweets. In the Andrew Zimmern video we saw tar added to a herring sauce, and as a spray to add a bit of tar to any dish that you wish. And what does tar have that is liked in Finland? Besides the smoky flavor we talked about, it might have something to do with Finns fondness (love!) for food items that are seen as strange everywhere else and that have unique – acquired taste – flavors, such as salmiakki or mämmi. The tar flavor is the closest thing you have to chewing smoke. In this photos we can see some people eating tar ice-cream and also some Finnish candy that features the same flavor and that you can get at in many supermarkets and convenience stores. You can check out this Finnish delicacy by yourself and then decide if tar is for you. After all, all the cool Finnish kids are doing it. These people are eating tar ice-cream, or so it says the Source (CC: by-sa) of the photo. What do you think of this curious gastronomical variant of Finland? Would you be up for trying it? Some people ask us via Facebook: What to do in Helsinki? Finland’s capital is not only the main entrance point to the country, it is its biggest city too and therefore worth a visit. If you’re going to Helsinki and like to have fun – which I assume you do – read on: we’ll talk about Helsinki’s amusement park: Linnanmäki. Down in the Linnanmäki theme park. Source (CC: by). 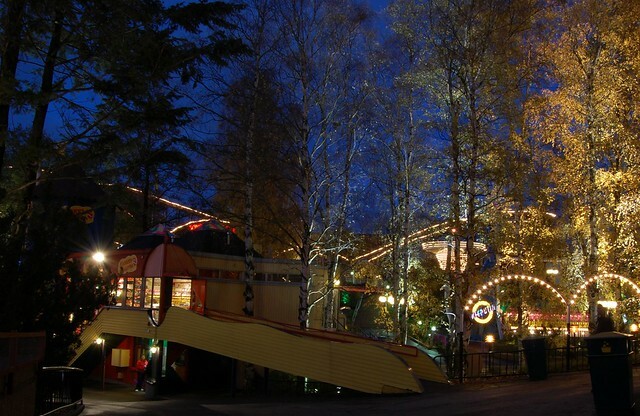 This year’s new season has already begun at Linnanmäki (official page), as they open up in April each year. They close their doors again at the end of October – check the opening times here. 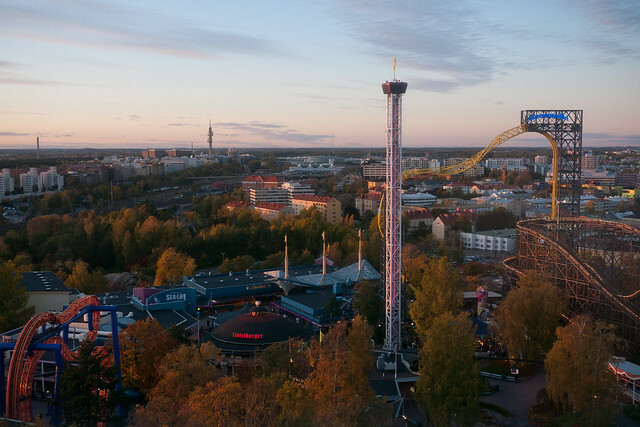 The Linnanmäki amusement park of Helsinki states that it has more attractions than any other park in the the Nordic (and Scandinavian) countries. If you want to check out what you would like to ride, this is the page to do so: probably you’ll find some equivalent of your favorite rides if you are a theme park aficionado. 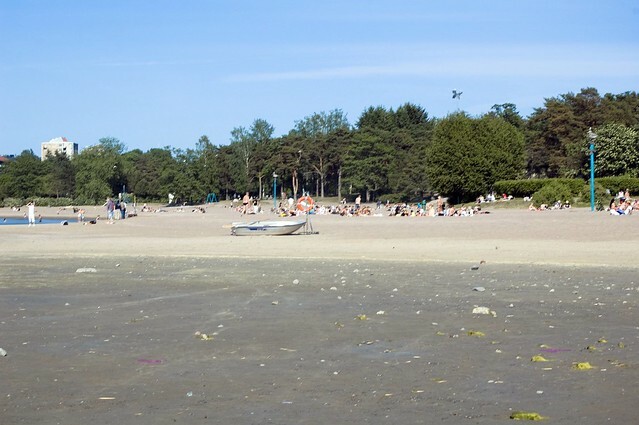 Of course, the park is also apt for families, in case you visit Helsinki with the ones closest to you. The entrance to this amusement park is already something amusing: it is free! You can go inside the park and take a walk for no cost, and you can also have fun watching the faces of the people currenty on the rides. You will have to take out your wallet to ride an attraction though. Each separate ride costs approximately 8€ and the price for a full day of rides is 37€. You can also combine the day ticket with a SEA LIFE ticket and both will cost you 45€. These are, at least, the prices that they show on the English version of the website. The Finnish version has a myriad of ticket options (see them here, if you speak Finnish), like a special ticket for the last 3 opening hours or another day ticket for the next day for just 8€ more. Ask at the entrance of the Linannmäki for explanations in English if needed. A good tip: Check out the Panorama sightseeing tower and experience Helsinki from 53 meters above the ground. This, alone, is worth visiting Linnanmäki: You get to see Finland’s capital scenery from the high ground… and is also free of charge. 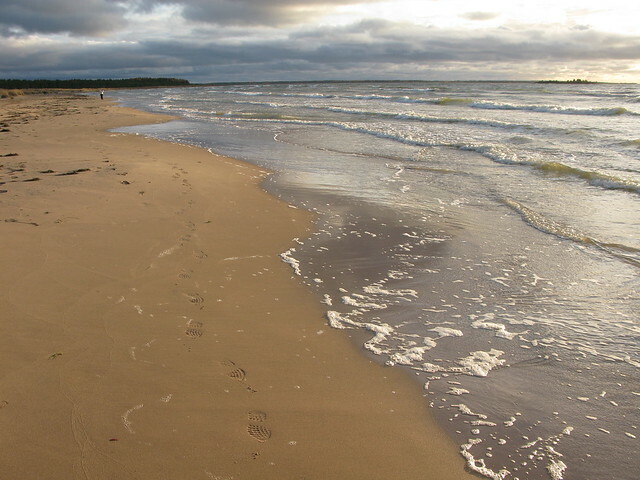 The park’s address is the following: Tivolikuja 1, 3km from Helsinki’s centre. There are several options how to get there with public transport – check all the options here. 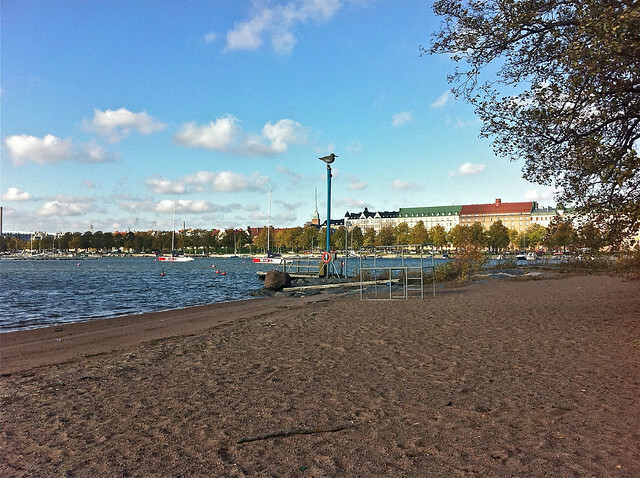 Linnanmäki also has some restaurants and live events. During recent years they were especially promoting some of their restaurants, where cooks who had 4 Michelin stars altogether were working at. 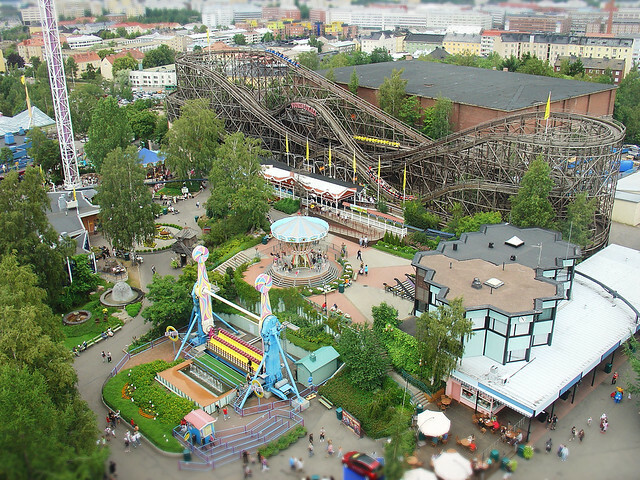 Have you already visited the amusement park of Linnanmäki? What’s your favorite attraction?